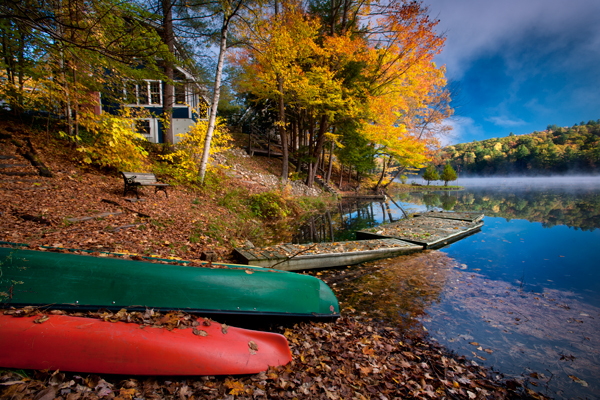 This peaceful fall scene leaves you wishing you could paddle out into the foggy lake setting and just sit listening to the call of the loon or moose. 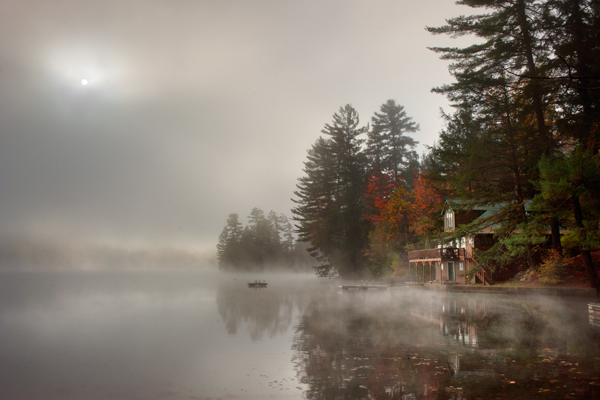 Dawn breaks through the fog and the sun illuminates this lakeside retreat.Imagine waking up to this view every morning. 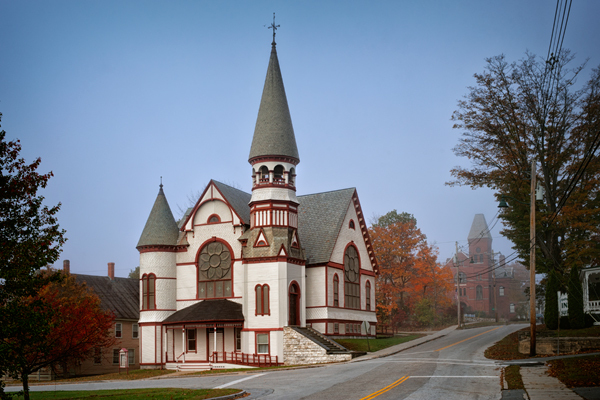 This beautiful church was photographed in Vermont on a foggy fall day. A second church sits down the road a short distance away. 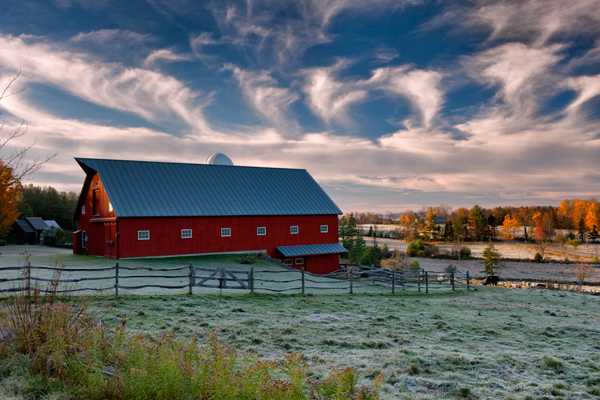 We were out shooting early in Vermont and we passed this farm with lovely clouds over it. They looked like mini tornadoes in the sky. Usually when I travel,I randomly pick back roads and many times do not remember where I shot certain photos. This place is one I found ten years or more in the past while still shooting film,and much to my surprise,I came across it on my trip this fall. 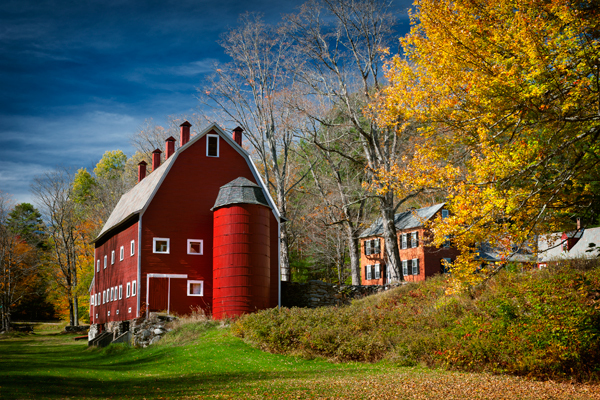 It is a lovely barn located not too far from Grafton Vermont. 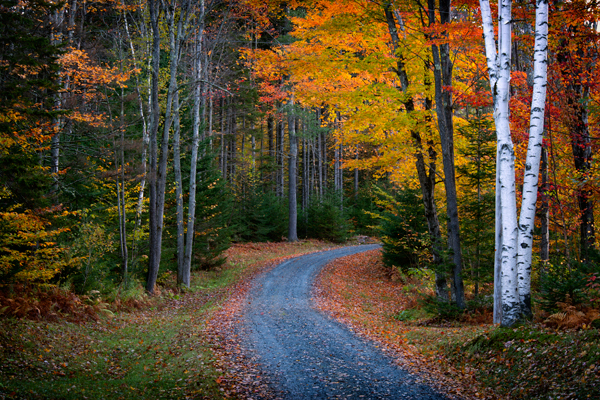 The cool gravel road contrasts with the warm fall foliage on a Vermont back road. A birch tree adds a touch of white and the winding road leaves the viewer wondering what is around the bend. 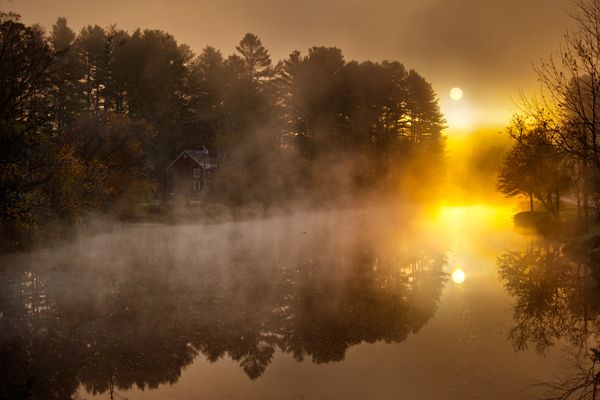 Sunrise breaks through the fog on this Vermont lake. A lone house sits nestled in the woods.